Many people have Type 1 diabetes for a long time without knowing it. Sometimes, they don’t find out until they’re in the emergency room with dangerous complications. For that reason, three medical organizations — JDRF (formerly the Juvenile Diabetes Research Foundation), the American Diabetes Association, and the Endocrine Society — recently recommended adopting a new Type 1 diabetes staging classification. They based their proposal on 20 years of research conducted by an international network called Type 1 Diabetes TrialNet. This research involved 150,000 relatives of someone who had Type 1 diabetes. The goal was to promote early diagnosis and prevention of Type 1 diabetes by focusing on the early stages of the disease. 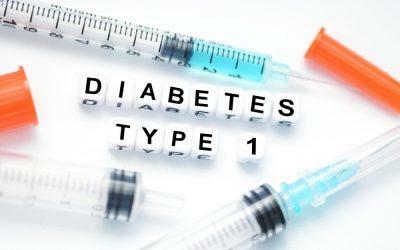 The recommended new classification describes Type 1 diabetes as having three distinct stages. • Stage 1: The immune system has begun attacking the beta cells that produce insulin, but no symptoms are yet present and blood sugar is normal. A blood test, however, can detect diabetes-related antibodies. • Stage 2: There are still no symptoms, but diabetes-related antibodies are present. In this stage, blood sugar raises. • Stage 3: Beta cell loss becomes significant, and symptoms of Type 1 diabetes begin to appear (fatigue, frequent urination, extreme thirst, weight loss). This is the stage in which the disease in usually diagnosed. The chief aim of the new staging classification is to stress that Type 1 diabetes can be diagnosed early, before beta cell loss becomes significant. The sooner intervention occurs, the greater the prospect of preserving beta cells. To help with early diagnosis, TrialNet offers screening for people who have relatives with Type 1 diabetes. People who have a relative who has Type 1 diabetes are 15 times more likely to develop the disease than people who don’t. Free screening is available to anyone between the ages of 1 and 45 with a sibling, child, or parent with Type 1 diabetes. It’s also available for anyone between the ages of 1 and 20 who has a half-sibling, cousin, uncle, aunt, niece, nephew, or grandparent with Type 1 diabetes. TrialNet has diabetes researchers at more than 200 locations in the United States. To participate in this Pathway to Prevention program, visit https://www.diabetestrialnet.org or call (800) HALT-DM1 ( 425-8361). This blog entry was written by Joseph Gustaitis, a freelance writer and editor based in the Chicago area.